It’s December 24th, the stockings are hung, the menorahs are lighted, and the Festivus poles are standing tall. 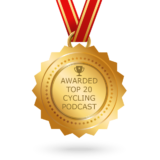 Diane and the elves were busy this week, creating a special podcast-only edition of The Outspoken Cyclist for your holiday audio feasting. 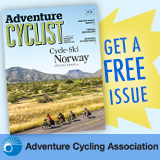 First we check back in with Jim Sayer of Adventure Cycling. Jim gives us his take on the current climate for cycling advocacy, as well as bringing us up to date on what Adventure Cycling has been up to lately. Here’s a hint: it’s more than just maps and tours. In the second half of the hour, we welcome Leslie Bohm, Chief of Everything at Catalyst Communications. 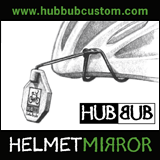 Catalyst works with makers and sellers of sports gear to improve the quality and impact of their marketing efforts. Beyond that, Leslie is a tireless cycling advocate. If you’ve never considered that the National Rifle Association might have something to teach the cycling community, prepare to have Leslie expand your consciousness. Two conversations to lift your cycling spirits and give you food for thought on this week’s Outspoken Cyclist.